Translation is set to be one of the biggest features of hearables, and we've already seen it in crop up in the Bragi Dash Pro and Google Pixel Buds. Sadly, the experience hasn't quite lived up to the Babel Fish promise, but the Mars earbuds are hoping to deliver on that front. Their best feature is that they let you take out one earbud, hand it to someone else, and start having a conversation across two different languages. The processing is all done in the cloud, so you will need to have your smartphone paired, but assuming you have the languages set, you won't need to take your phone out of your pocket. Mars, however, let you share a single pair. Take one out, hand it to the other person, and a single press of the earbud button will open the airwaves to start talking. The earbuds currently support four languages: English, Korean, Chinese, Japanese. The company told us it's looking to tap into Siri and Google Assistant to support more down the road. They also one-up the Pixel Buds, which limit their translation powers to Pixel phones, by working with both Android and iPhone smartphones. Battery will run for three hours of music playback and 1.5 hours of call time. Like many other hearables, their case doubles as a charger that will give you four cycles before that needs re-juicing. 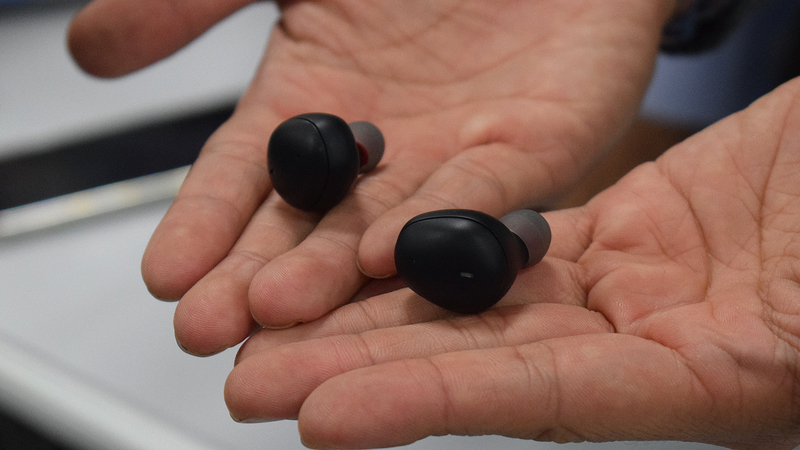 It won't be long before you can try them for yourself: the Mars earbuds are shipping this summer with a price yet to be confirmed. I know you this is a fairly old post, but I've got a question about the Mars headphones you out on here. I've been researching them for ages and still connote find any reference to a website they are on, where and when they will actually be available. Anyone managed to have any look finding these anywhere?